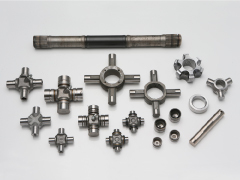 Products | HIKARI SEIKO is a top manufacturer of universal joints (UJ). 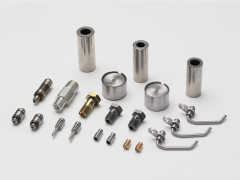 From universal joints to oil jets, HIKARI SEIKO CO., LTD. (HKR) manufacturers precision automotive parts. HIKARI SEIKO's products that are created with our advanced skills and rich know-how support tomorrow's car society with our “global quality”. 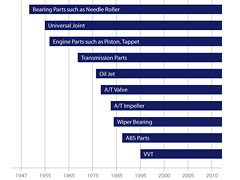 Based on our technology and know-how that we have nurtured in the automotive industry, which requires accuracy in the level of microns (1/1000 of a millimeter), we, as a leading manufacturer of universal joints, provide a “global quality” that consists of quality and competitive cost highly esteemed by the global market, and the power of good service. Amidst the acceleration of globalization, we will continue to challenge ourselves in manufacturing with our eyes set on the next generation, aiming to become a company that is trusted by the international society. We provide a high-quality, reliable line-up of drivetrain parts, which transmit the engine's power to the wheels without loss, primarily through our universal joints, as well as intermediate shafts and constant velocity joints. 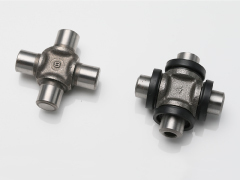 Our spider parts of the small universal joints, which are used for the joint of the steering shaft, are highly valued for their high quality. The various parts that comprise the engine are the heart of the car. We have responded to the need for the two contradictory qualities of durability and lighter weight, through our unique know-how and advanced technology. Automatic transmission parts require high-precision quality to achieve smooth gear shifting. 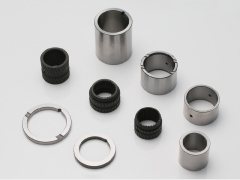 We offer a wide variety of parts, as critical functional components, through our high-precision processing technology. 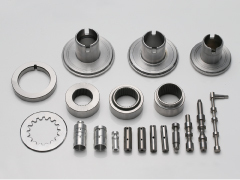 Manual transmission parts, which are critical safety components, go through an especially strict quality control in order to ensure high durability and wear resistance. 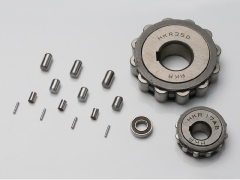 Bearing products are essential to reducing friction, which is an issue in any mechanical systems. We handle a wide variety of bearing parts for industrial machinery, including cars. 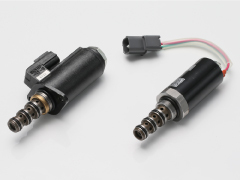 Hydraulic solenoid valves using precision processing technology are being applied in a wide range of fields, such as construction and agricultural machinery. We develop our products in-house, in order to achieve both high quality and low price. 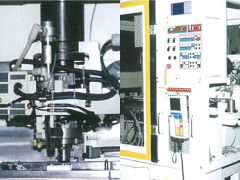 Based on our know-how of manufacturing production equipment with high cost effectiveness, we propose compact and high-productivity special purpose equipment. Beginning with the production of needle rollers for bearing parts, we launched the production of universal joints and precision parts. We are continuously challenging ourselves in accord with the globalization of the automotive industry.